Locating missing persons is a service that we specialize in. We have a 2 step process that provides our client’s with a clear understanding of how locate investigations work and exactly what it costs. The first part of any locate investigation involves a lengthy conversation with the client to obtain the “known information” on the subject of the investigation. In many cases, the client has relevant information that can be utilized to find the missing person, but they don’t know the information is helpful. Assurance Investigations Group allows the client to talk to a person – a professional investigator who will take the time to get to gather the critical information about the person we are trying to find. After obtaining the important information about the person we are locating, we process that information through our databases in order to obtain a list of likely addresses. Sometimes, the list is very short and even contains 1 address on our subject. Some locate investigations are completed by simply processing the known information on the missing person and we return a good address. In many situations, however, we return multiple possible addresses relating to the subject and proceed to part two of the investigation. Part two of a locate investigation involves confirming which address is accurate with a high degree of certainty. Our office uses a field investigator to go out to the residence and verify that the address is good. We use different tactics to confirm the address, ranging from simply running the license plate of the vehicle parked on the driveway to knocking on the door and visually verifying the occupants of the residence. When it comes to helping you find a person, Assurance Investigations Group is quick and reliable. We understand the technical aspects of how to find people. We adapt our approach to meet the specific circumstances of the locate investigation we are working on. Our approach to finding people is unique because we allow our clients to contact us and speak to the actual investigator working on your case. Locate investigations require a professional analysis and cross reference of the data being returned in order to provide the client with the best chance to find the person you are looking for. 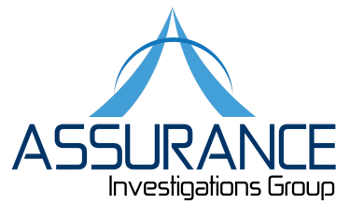 Assurance Investigations Group may be headquartered out of Springfield, Massachusetts, but will follow the leads anywhere in the country/world. State and Country borders may slow down law-enforcement, but our experienced Private Investigators located throughout Massachusetts and Rhode Island as well as affiliate partner offices throughout Connecticut and New York do not allow borders to slow us down. Our Professional Private Investigators will work intelligently and diligently on finding your loved one as soon as possible. Call us at 413-274-8829 for a free consultation with a experienced, professional, licensed, Private Investigator.